Zhang Lipeng vs Albert Cheng The Ultimate Fighter: China Jan 26, 2014 (13:40) Zhang Lipeng vs Albert Cheng from episode twelve of The Ultimate Fighter: China from 2014. Ning Guangyou vs Rocky Lee The Ultimate Fighter: China Jan 26, 2014 (8:06) Ning Guangyou vs Rocky Lee from episode twelve of The Ultimate Fighter: China from 2014. 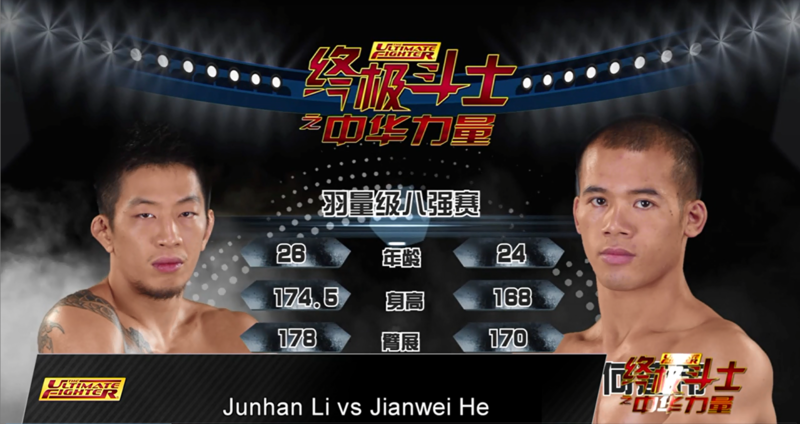 Yang Jianping vs Yao Zhikui The Ultimate Fighter: China Jan 25, 2014 (21:57) Yang Jianping vs Yao Zhikui from episode eleven of The Ultimate Fighter: China from 2014. 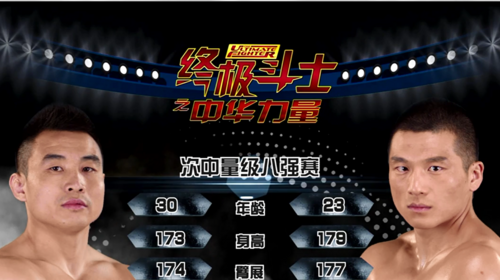 Wang Sai vs Wang Anying The Ultimate Fighter: China Jan 25, 2014 (12:41) Wang Sai vs Wang Anying from episode eleven of The Ultimate Fighter: China from 2014. Rocky Lee vs He Jianwei The Ultimate Fighter: China Jan 18, 2014 (9:25) Rocky Lee vs He Jianwei from episode nine of The Ultimate Fighter: China from 2014. Albert Cheng vs Yong Shun The Ultimate Fighter: China Jan 12, 2014 (13:53) Albert Cheng vs Yong Shun from episode eight of The Ultimate Fighter: China from 2014. Yao Zhikui vs Allen Chong The Ultimate Fighter: China Jan 11, 2014 (6:07) Yao Zhikui vs Allen Chong from episode seven of The Ultimate Fighter: China from 2014. Wang Sai vs Wu Qize The Ultimate Fighter: China Jan 5, 2014 (17:23) Wang Sai vs Wu Qize from episode six of The Ultimate Fighter: China from 2014. 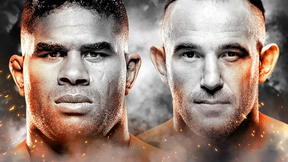 Yang Jianping vs Fu Changxin The Ultimate Fighter: China Jan 4, 2014 (8:44) Yang Jianping vs Fu Changxin from episode five of The Ultimate Fighter: China from 2014. Dong Xin vs Albert Cheng The Ultimate Fighter: China Dec 28, 2013 (12:49) Dong Xin vs Albert Cheng from episode four of The Ultimate Fighter: China from 2013. Ning Guangyou vs Shih Liang The Ultimate Fighter: China Dec 21, 2013 (12:18) Ning Guangyou vs Shih Liang from episode three of The Ultimate Fighter: China from 2013. 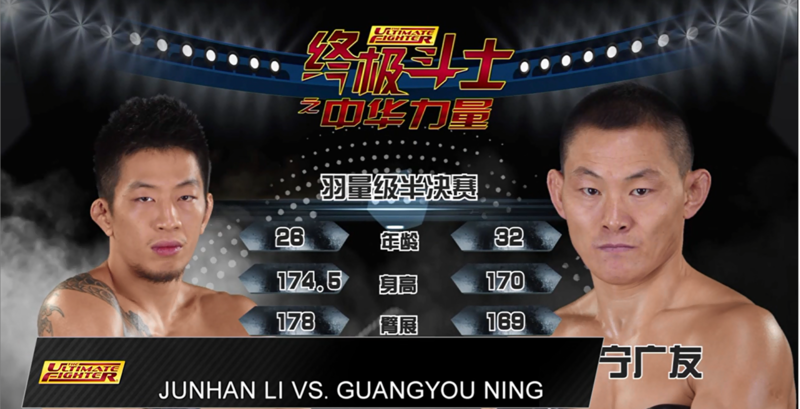 Zhang Lipeng vs Zhu Qingxiang The Ultimate Fighter: China Dec 14, 2013 (5:36) Zhang Lipeng vs Zhu Qingxiang from episode two of The Ultimate Fighter: China from 2013.